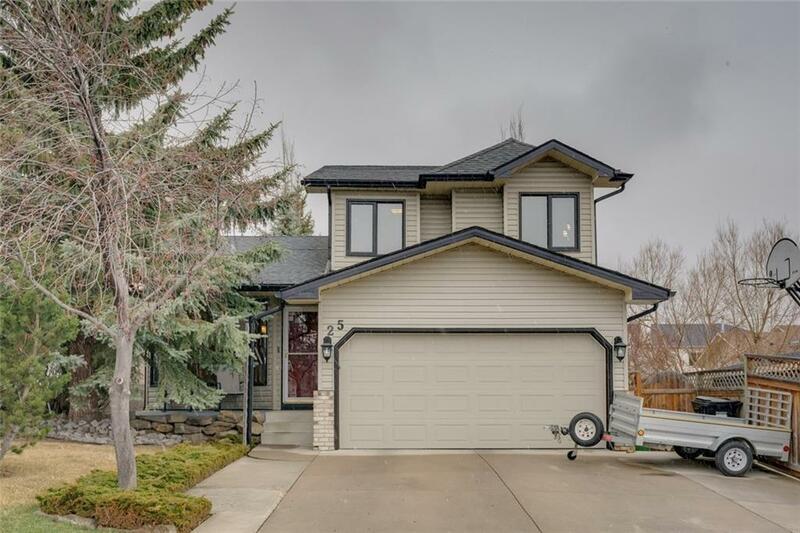 DESCRIPTION Beautifully maintained 3 bedroom family home with over 2,500 sq ft of living space located on a very quiet circle with park & city pathway system in the center. The main level introduces spacious living & dining areas, lovely kitchen finished with granite counter tops, plenty of storage space, built-in eating bar, stainless steel appliances & eating area. The sunken family room with feature fireplace is adjacent to the kitchen. A 2 piece powder room & laundry complete the main level. There are 3 bedrooms & a 4 piece main bath up. The master bedroom includes ample closet space & a private 3 piece ensuite. In the basement, you will find a recreation room, a den/office & plenty of storage space. Further features include beautifully landscaped gardens & a private back yard with large deck, which is partially covered allowing use throughout much of the year. The double attached front garage is insulated & drywalled. Also enjoy the very convenient location, close to Nose Hill Park, schools, shopping & public transit.